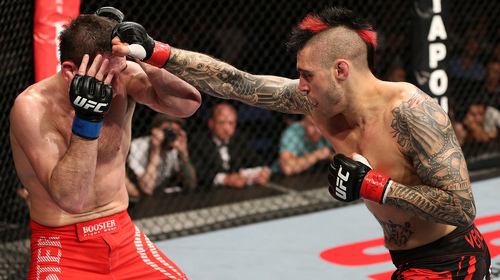 Wearing a piranha teeth bandit’s mask and a blazing red Mohawk, Dan Hardy took the UFC by storm in 2008. 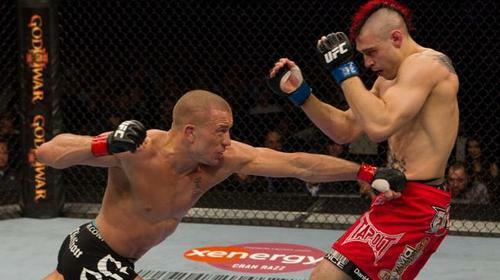 “The Outlaw” reflects on his rapid rise from British wannabe to UFC world title challenger. Fightography: Dan Hardy Apr 29, 2015 (10:21) Perhaps no fighter in modern UFC history exploded on the scene with such force of personality as Dan Hardy did in 2008. Wearing a piranha teeth bandit’s mask and a blazing red Mohawk, Hardy stormed towards the Octagon with the all the attitude of the classic punk rock stars who inspired him. The British slugger’s exciting style and unique charisma catapulted him all the way to a UFC title shot just four fights into his UFC run. In this Fightography, a candid Hardy discusses his rapid rise from British wannabe to UFC world title challenger, the birth of his “Outlaw” persona, and the art of talking his way to the top. Dan Hardy vs. Akihiro Gono UFC 89 Oct 18, 2008 (31:31) Promising UK fighter Dan Hardy makes his UFC debut against the challenging and super-experienced Akihiro Gono of Japan. Dan Hardy vs. Rory Markham UFC 95 Feb 21, 2009 (12:51) Boxing and Brazilian Jiu-Jitsu fighter, Dan Hardy takes on Rory Markham, fighting out of small town Bettendorf, Iowa. 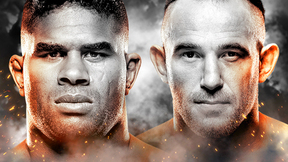 With Markham questioning Hardy’s punching power, will this fight stay standing or go to the ground in this exciting UK event? Hardy vs. Davis: The War of Words Apr 30, 2015 (9:38) Relive the war of words between UFC welterweights Marcus Davis and Dan Hardy. 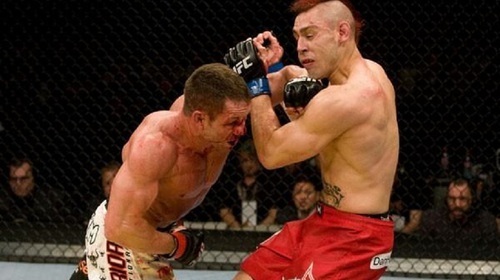 The pair clashed at UFC 99 in a bout that solidified Hardy as a serious threat to the division. 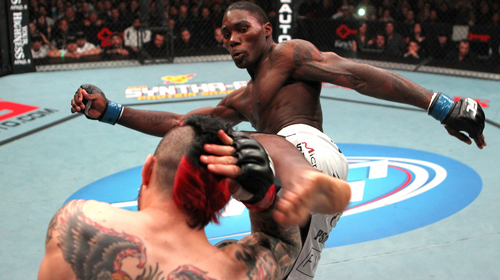 Dan Hardy vs. Marcus Davis UFC 99 Jun 13, 2009 (30:58) The welterweight bout between Dan Hardy and Marcus Davis began as an intriguing matchup in the sport’s most competitive division. Over the few weeks preceding the bout, it has escalated into a full-on grudge match, and now they get to settle their score. 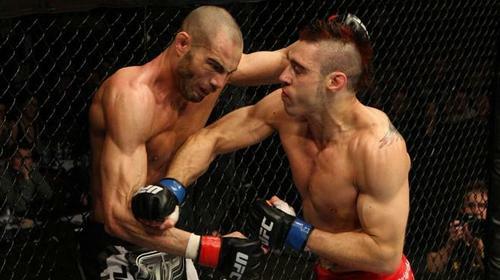 Dan Hardy vs. Mike Swick UFC 105 Nov 14, 2009 (30:10) UK's Dan Hardy has been impressing fight fans since he debuted at UFC 89, not losing a single fight in the Octagon & winning 6 pro bouts in a row. 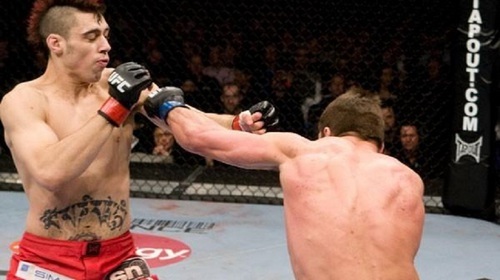 Houston, Texas' Mike Swick hopes to give him that first loss- the TUF Season 1 vet has reached a 14-2 rep.
Carlos Condit vs Dan Hardy UFC 120 Oct 16, 2010 (17:56) Dan Hardy typically used his precision boxing in order to keep most of his opponents at bay while Carlos Condit had superb kickboxing that allowed him to mix up strikes from different angles. It was no surprise that this fight ended in fabulous fashion. Anthony Johnson vs. Dan Hardy UFC Fight Night Mar 26, 2011 (26:11) Rising stars vying to avenge recent disappointing losses, Dan “The Outlaw” Hardy, hoping to prove his striking power was just as potent as ever, took on Anthony “Rumble” Johnson, who was ready to kick off another UFC win streak after having his previous one snapped. Chris Lytle vs. Dan Hardy UFC Live 5 Aug 14, 2011 (21:01) Given their histories, there’s little doubt that when the bell rings Chris “Lights Out” Lytle and Dan “The Outlaw” Hardy, all caution will be thrown to the wind and these welterweight warriors will pull out all the stops in search of victory. 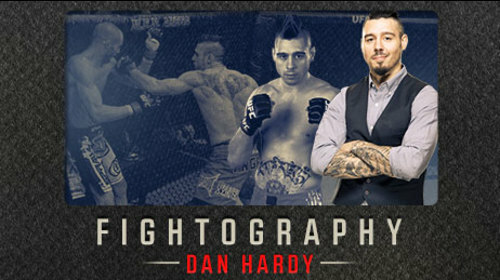 Dan Hardy vs. Duane Ludwig UFC 146 May 26, 2012 (12:35) Well rounded Dan Hardy takes on UFC's fastest KO record-holder Duane Ludwig. Dan Hardy vs. Amir Sadollah UFC Fight Night Sep 29, 2012 (27:55) Fighting in his native England for the 5th time in the UFC, Nottingham’s Dan “The Outlaw” Hardy scored a Knockout of the Night in his last outing and was ready to put on a show for the biased crowd against TUF 7 winner & Muay Thai striker Amir Sadollah.